Take the guesswork out of achieving Optimal Health! Through a Personal Health Evaluation, and the use of a sophisticated Phase Contrast microscope, Dr. Lengyel demonstrates the impact your lifestyle has on your health and shows you how to achieve optimal vitality. After completing a detailed patient history and nutritional assessment, Dr. Lengyel takes a single drop of blood from your finger and places it on a slide. A specially designed microscope with an attached camera magnifies your blood onto a video monitor. 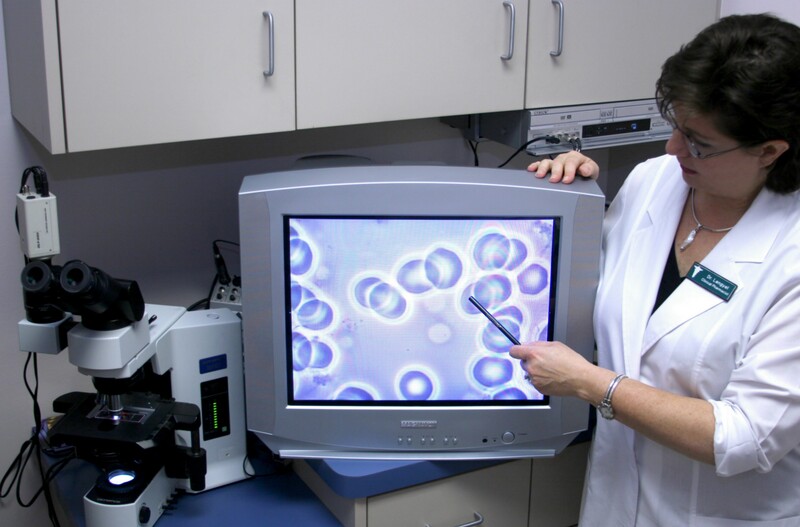 Immediately, a three-dimensional image of your live blood cells fills the screen. You can see with your own eyes whether your blood is healthy and flowing, or sticky and sludgy.The Doctor then records a DVD to keep in your chart so you can see your progress from visit to visit. A healthy body is built from healthy cells. Many people today are overfed and undernourished. The advantage of live blood microscopy is that numerous imbalances can be detected before serious deficiencies occur. Due to the personalized nature of the nutritional recommendations, it is amazing how quickly the therapies can impact your health. This technique is a unique “window into the body” where you can actually visualize the changes occurring in your body. You no longer have to guess whether your health plan is working: you can see for yourself! Using cutting-edge BioImpedance Technology, Dr. Lengyel analyses your body composition including basal metabolic rate, fat mass, lean muscle mass, hydration level, and cellular toxicity. By knowing the actual number of calories that your body needs, she designs a personalized food/exercise plan to support your individual goals such as losing body fat, gaining lean muscle mass and improving overall body composition. The food plan is much more than just a diet. Dr. Lengyel coaches her clients on how to successfully deal with busy daily routines, stress, travel, and special events that could otherwise derail good intentions. By objectively measuring your body composition at regular intervals, you can be confident that you are achieving your goals in a healthy, sustainable way.